I just want wish everyone a Happy New Year from all of the staff here at Yak. We wish all a great year to come in health, wealth, and happiness. Thanks to all our loyal readers and to any new “Yak-ers” out there. Just remember for those that plan on doing some celebrating tonight just stay safe and don’t do anything that would risk yours or anyones lives. See you all in 2001…. Robert fromour prototypes section has posted images of the Chewbacca Commtech Chip 2. Stop in and check it out. A quick note for any UK readers brave (and able!) enough to go out tomorrow – there’s a toy show on in Kent. For more information, hit this link! Thanks to Dave of Startoys & Collectables for the news. Thanks for the heads up. I hope this can tie our Canadian friends over til they can get some POTJ up there. Lately I have had a few people mail in and ask… “Where is the 12” Kaadu?”… Well he is still set to be released along with his Gungan buddy Capt Tarpals, when you ask? Now the word is spring 2001. No reason why he was pushed this far back, but if anyone can help please do so. I have heard a few reasons but not one specific one. I promise that I will soon have some nice boxed and loose pics of this set up here at Yak. The boxed pics are the very dk purple Tarpals that was made in the initial run til Hasbro scraped. Jawa.com’s Innis had put up a small comparison pic a few months back. The loose set is the production set that will get released and you wil see the BIG difference in the two. Look for pics very soon. ACPin has uploaded a preview of his new Carbon Freeze diorama to his website – check it out here. Many people are wondering when we’ll see the 12″ Dewback that seems to be collecting lots of dust, go on sale… Well I heard from a pretty reliable source this piece should go on sale sometime in either Feb or Mar. Yes still some time away but they aren’t going anywhere anytime soon. I heard the price will go down to $50, definetly a more acurate price for this piece. I do hope that this doesn’t discourage Hasbro from doing any future 12″ scale beasts. I have heard of a possible 12″ scale vehicle in the future, but right now it is just hearsay and until I get any definite confirmation I’ll leave it in the “rumor” pile. Stay on Target….Stay on Target…. Well many reports are coming in of people finding the new Plo Koon wave at Target. Reports range from NY to Pa To NC to Tx to Ca… I haven’t seen this wave or got any reports of it here in S East Ma area, though I read on a message board it was found in Warwick, RI Target store. So looks like Target is the place. You might even get lucky and find the 300th Fett and 12″ Bounty Hunters there as well, what a trip that would be. Good luck guys. De has all of the latest information on what is on sale in her latest report at FBTB, including sets at the new amazon.com outlet store and a buy one get one half price sale at KMart. Toymaniacs.com has the Plo Koon wave online right now. They are expensive, but if you want them, head on over. Here is the Theed Amidala Carded image! Check it out. Thanks to the Big D for the images. tncuniverse.com has the 12″ Sith Lords 2-Pack for $44.95! Which is ~$5 less than eToys.com. They also have the set of three 12″ Bounty Hunters for $64.95. Be sure to tell them yakface.com sent you. Troy Harper found the 300th edition Boba Fett figure at a Super WalMart in Columbus, Ohio. KBkids.com have a steal on the 12″ Chewie in Chains doll. This once elusive doll was one per case and fetched a few dollars on the aftermarket but now you can steal it for just $12.99. Thanks to Yak-er Matt Kregor for pointing this great deal out to us at Yak. The Jawa’s passed through today and gave me word on a new giveaway they are holding now. You can get yourself a 3 3/4″ Ani Pilot and Maul Sith Lord from them. Check out this link for the info. Have a bounty out for the 12″ Bounty Hunters? Well you can find them at John’s Toys, along with the 12″ Sith lords set. Get there quick I can’t see them hanging around long. Yak-er Kingramos mailed to say he found Plo Koon at a Target in Laurel,Md. He mentioned they had four of Plo Koon left and three K3-P0’s. Looks like this wave should hit all parts soon. Guys don’t spend all that Xmas $ just yet. Since I posted last night that Gungans were possibly being shipped two per case, a few reports have surfaced backing that up. I have got a few emails from people that opened up cases themselves in stores and saw them both sitting there in a case. So looks like your luck may get better soon if you still need that elusive Gungan. Go get’em. For those of you that are trying to get one, I just received this email from Amazon.com. As someone that has expressed interest in the Playstation 2, we are happy to let you know that we will be receiving another shipment of these on Friday, December 29th after 2PM. I would check with them online at 2PM tomorrow if you are looking to get one. The Star Wars game that will be available for the PS2 is also available to preorder online at all retailers. Guys here’s a great word of advice for all out there, CHECK THEM STORES…. I walked into a local Target this afternoon to see if Mr Fett or his other Bounty Hunter compadres had hit my way yet, when what do I spot sitting there? A 12″ Speederbike… Yup I was in awe. Never seen one in a store before so of course I grabbed it. I head to scanner no price comes up just says “clearance”, so an employee trys scanning at register and nada. I did get it for the $14 price tag from a month or so back so needless, to say I was loving that. My point guys check stores for people returning unwanted Xmas gifts, you never know what you will find. Also I spotted the 6″ Mega figs for $7 and the UCS Lego X-Wing and Tie sets for $104 and $70 respectively. So there ya go. We know now why things are found in the shape they are now. Just to add to this these toys are shipped from overseas to Seattle then shipped to these centers, making it a long trip for these toys we get our hands on at retail. Jay over at ADC sent over an fyi on the contest their running. Jay wanted to remind all out there that you still have a chance at a cool POTJ fig set including the much wanted 300th Fett. Only a few days left to the contest so get over there and check out all the details. My good buddy Innis has posted some more pics of the CT2 Chewie over at Jawa.com. Innis added some back pics of the cards which he had previously shown the fronts of. Honestly I wish the CT2 chips had a chance to see light. Congrats to Innis and the Jawa scavenger crew for some more cool finds. 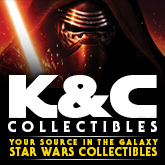 You can now get the 12″ Valorum and Guard 2-pack at KBKids.com! Price is $39.99, just search on valorum. Congrats to Stephen Prescott as he is this weeks winner of the Ultarama Stand. Many thanks to Mort for the free stands. The Plo Koon wave is out in the US. A friend of mine found many at Target in NV today. Also, I have recieved reports of it being found at Target in CA as well. Han and Tauntaun at EB? Could it be true…? Yak-er Tony Roberts found the 3 3/4″ Han and Tauntaun at an EB in Va today, but what makes this extra cool was the low price of $13.98. Tony said the box was not in the best shape and thought it could’ve been a return or one found stashed in the back somewhere. No matter what Tony got a steal most would kill for now. This is a piece that remains one the few truly “rare” pieces in the line, and still many people need it. Great score Tony. Anyone else that comes across any odd ball things like this let me know, give me an email here. I’m sure some have heard the talk that the Insider will no longer exsist, but I asked Dan Madsen today and he denied that. The Insider will continue under the control of new management Wizards of the Coast. So despite what has been said, it looks like we will still see it produced. Reports from many different states are coming in on the 300th Fett being found on shelves. People seem to be finding these in Walmart, TRU, and Target now. Here’s some sku and DPCI #’s for you to help with the search. N East have surfaced, where I am, so if any people up my way come across any give me a holler here. 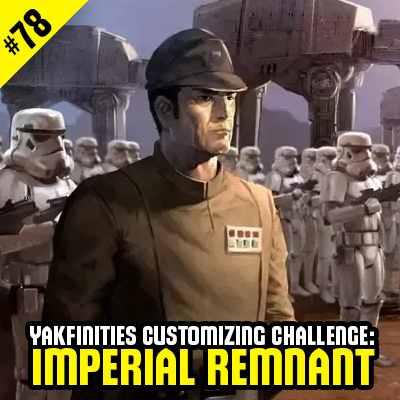 Our friends over at Rebelscum are celebrating their 100th week of custom critiques with an awesome group custom of the Galactic Senate, made by some members of FFURG. You can check it out here. These guys do some great work, definetly worth a look. Starshow have the Dagobah Vader wave and the Boss Nass wave (minus Fode & Beed and Gungan Warrior) along with all the earlier figures in stock now for $8.99. Thanks to Clint for the news! We’ve started to receive reports of some Targets putting the Mega Action figures on clearence for $6.90 and 12″ figures for $12.90. Some people have been lucky enough to find the new 12″ bounty hunters at the discount price. Thanks to everyone who wrote in about the price change. This is it – the winners of ACPin’s Who Got Carbon-Freezed contest are up: check it out if you want to see who won. It appears the new 300th Fett is now showing up at TRU as well. It was found at a TRU in NJ today. Thanks to Art for the news. Etoys.com has the The Power of the Jedi: Temple Boss Nass for $5.99 in stock now. 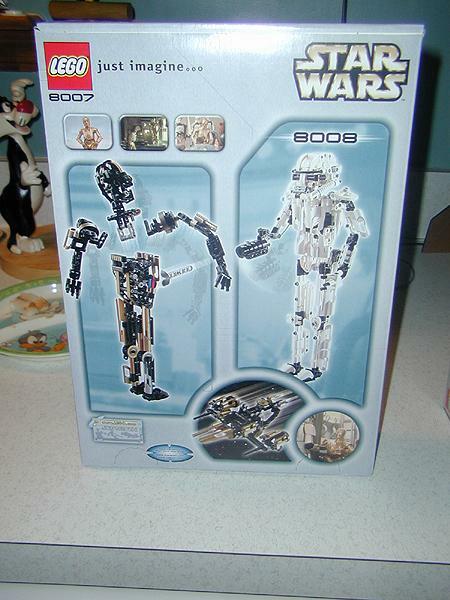 Here are images of the boxed Technic Lego sets. These were purchased at the FAO in Troy MI. $48 a set. I just want to take a minute to wish all of our readers the happiest of holidays and a great coming year. This year has come in gone and left my head spinning… I still wonder where it went? We have seen a lot happen this year with the line and Hasbro itself, I’m sure we have a lot more to come. Thanks to all the former employees who gave us some great things in our collections and we wish you the best. Thanks to all the employees still employed and for anything we may have coming to us. We especially thank you the readers for checking us out everyday and all the kind words we get here on how great a job we do. You make it happen and keep us going. Enjoy the coming days and stay safe. My Jawa buddy Innis over at Jawa.com sent me a heads up that he got some pics of the new Dagobah Vader variation we’ll see on shelves soon. I had heard, as many had, this was coming but we all didn’t know for sure, until now. Head over and check it out. Thanks and congrats to Innis for getting those pics up. The answers for ACPin’s Carbon Freeze contest are now online @ http://acpin.homestead.com/Home.html – winners to be announced shortly. George in Love for Free! ABout.com has a neat little Star Wars section and if you stop over there you can enter to win a FREE DVD of George Lucas In Love. The Pod Figure in the case assortments is Aurra Sing. It is confirmed by Hasbro in their sneak preview section where they preview the Aurra Sing 3 3/4 figure. Thanks to everyone who wrote in about it. Here is a quote from that section. SSG is running a good poll, Let’s ALL make our voices heard. They was asking if you like the new Darth Maul, or if you hate it. Take a click over there and VOTE! Let’s let Hasbro know what they can do with ANOTHER DARTH MAUL. Today, Etoys.com has placed the Mindstorms Dark Side Developers Kit, which allows you to build a walking AT-AT Walker, on sale for 60% off. They have also marked down several more sets. FBTB has the complete listing of what is on sale there now. Here is a list of future case assortments for the next few months. Some new figures listed are Pod figure, Sandtrooper, Qui Gon Jedi Armor, Crusade Obi Wan and Squidface. Thanks to various sources for the case assortments and the confirmation. So looks like they are out there, how many who knows but could be worth the trip. This is a great fig and I think it shows what Hasbro is capable of. Good Luck guys. Target.com has the following items on sale. Action Fleet holy grail finds? Reports just keep coming in on finds from KB. Yak-er Nick found Invasion Force Obi, Maul, and Battle Droid along with the cool Jabba’s Palace pop-up playset. This playset is really cool and I love the melted down Carbo Block that comes with it. Nick found these in N Charleston, SC. Thanks Nick for the tip off. Well big news to report from a mystery Yak-er in Bismarck, ND. Mr Fett was found at 8 pm on a Target shelf there for $9.99. There was a case of six found. Could we see more of these pop up? I think we could some were reported a little while back so maybe a few are still lingering just waiting to be found. So now the search begins. If anyone else finds these please give me a holler here. Rebelscum is reporting the new 12″ Sith Lord 2 pack is now showing up at TRU in CA. And CollectStarWars.com is reporting the new 12″ Bounty Hunters are showing up at Target for $24.99 in CA. Plo Koon on the Way! SW POTJ Collection 2 (Wave 6) (Item #84455D, $89.99) is on the way. Hasbro just confirmed shipment of this great new case assortment. Expect delivery to you by early January! Includes 3x Plo Koon, 3x K-3P0 – Echo Base Protocol Droid, 3x Mon Calamari Officer, 3x IG-88. Only at Entertainment Earth. TNC Universe have the 12″ Bounty Hunters in stock right now for those of you who’re searching! Head over and check it out! I don’t think we’ve had any feedback on this website before, so if you order and have any complaints, let us know. We try to mention only sites who have a lot of positive feedback rather than complaints. Thanks! To enter, check out the details on ACPin’s website. I haven’t had a try at it myself, not had time to sit down and look properly, but I had a quick look at it and it looked quite tough! Good luck! Marsboy picked up the Swimming Jar Jar Binks wave at a Family Toy Warehouse store in the Cleveland area, NE Ohio. He said that there was only one Jar Jar, but plenty of other soft goods wave figures. Priced @ $1.97 each. The Jawa.com had a link to the possible variation of the boomer damage droid, but what I found on this link was much more interesting than the possible variation. Did you know that the damage glows in under a UV light. Check out the images and what they did with the damage on a regular R2-D2. The Start Wars fan Club Has a new home and a new annoucement from Starwars.com, click on the link to read all about it. We should also see a new online store from Wizards in the Spring of 2001. And as mentioned here back when the news broke, anyone that is a current member will have an extra issue added on to the end of their membership. Late Ep1 waves at Big-K? Well got another email from another Yak-er, this time Pat Pscherer wrote in with some cool finds. Pat found some late Ep1 figs at Big-K in Crofton, MD. He found Sio Bibble, Ascension gun Amidala, Holo Sidious, and Naboo Royal Guard-the one with the removable helmet and goatee. Pat also mentioned they had a bunch of Pit Droid 2-pks. None of the figs were clearanced he mentioned but like Pat said “Retail is way better than the prices for these guys on e-Bay”. So check any stores you can, you never know what you’ll hit and where you’ll hit it. Good luck guys. Yak-er Mike wrote in with info on some product he ordered from the new owned Wizards of the Coast Star Wars FC. Mike wasn’t pleased with shipping so he called and got some possible good info here’s the full scoop. “I just got in a UPS package from Wizards of the Coast online fan club. It arrived quickly, but boy, was I disappointed when I opened it! I ordered a LEGO X-Wing (the first, smaller one) and two Pote Skitkins. They sent along a free Darth Maul bank, as the website said they would. The packing was so poor that the bank had pierced a thumb-sized hole in the X-Wing box and had crushed one corner and part of the bubble on one of the Snitkins. When I called this morning, I told them how important it was to collectors that items arrive in pristine condition. The operator was very sympathetic, and said they would try to improve their packaging. He said they would make some gesture to compensate for the problem with some amount of credit to my account (a manager is going to decide how much, and call me back). At the end of the conversation, I said how great it has that the shipping was free. AND HERE’S THE INTERESTING PART: The operator said that they’ll probably keep doing that. Free shipping from the Fan Club?! This would be great. It may even make up for the slightly-overpriced figures. Let’s see how it turns out. Thanks for maintaining an EXCELLENT website! Though Mike got his stuff in not so great condition they seem to be real cooperative. So free shipping? That would be really cool like Mike said, but we’ll see… Thanks Mike for the good words and for the info of course. Mark over at Bothan Collectables in the UK wrote in with this info on some stock they have in right now. This is a definite plus for anyone living in the UK that needs POTJ figs. We now have the POTJ Biker Scout wave in stock at the moment. UK customers should be able to get them from us at a significantly lower price than the majority of UK retailers charge. Of course here’s a quick link to them. VMRP called the fan club and was told Wuher was being put on their wish list for next year. Hopefully we’ll see a new supply coming back in soon. He was also told that the Carbon Freeze Chamber will retail for $24.99. The little brown scavenger friends of mine at Jawa.com are giving away R2… R2 you ask? Yup good ol’ R2-B1. So get over there now and register, they will give him away on Xmas day. Ok people we need to get over to Hasbro and vote now…. Guys seems like this is as close as the US presidental election. I understand the lead our favorite Jabba’s alien Amanaman has is only around 2%. So let’s get him higher. Hasbro claims this is our last chance to get him, and we know if Yarael is doing as good as he is we’ll most likely see him produced in the future. Guys get over there and vote now. Here’s a link to the site. 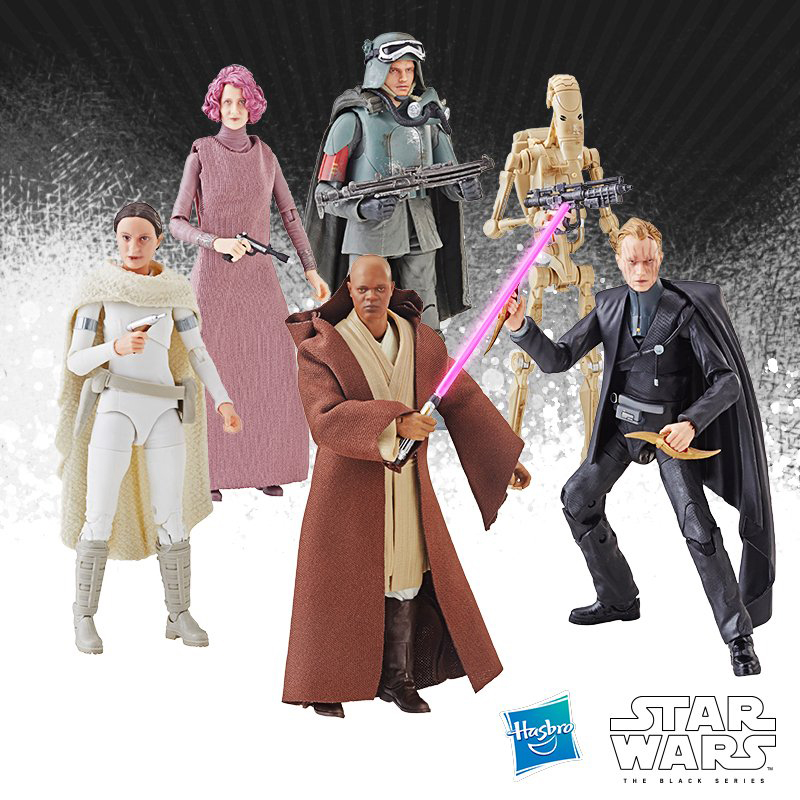 chancellor valorum/guard 2-pack for 14.99. No commtech waves at our toys r us stores, no new power of the jedi anywhere! Jayson wrote in to say that he called the Fan Club to check on his order for a Wuher figure and was told he is no longer available – they have sold out their existing stock and doubt they’ll get more. Refunds are on the way in the next few weeks. If anyone else hears a similar story, please let us know so we can confirm this. Mail has been pouring in about people finding these from all over. I would definetly take a pit stop in to TRU if you need this piece still. I haven’t seen any yet here in S East Ma area but I think we’ll see them soon. I have had reports of some finding these in the Boston area and also in Conn, so any day these could hit here. As for the rest of the country reports scattered from everywhere have come in. Good luck and report any finds to any of us here at Yak. Update [Greg]: Tor Gundersen reports finding about 10 cases of the R2/Stormtrooper/Vader wave at a TRU store in Atlanta. Please, if you find these, post the location and quantity of the figures in our store reports section. That’s the best place to look if you’re trying to find info on where to pick these up. Well guys it is true, a few emails here and some reports on some various sites can be confirmed by good ol’ Sidster himself. I picked one up at KB in Warwick, RI today for unreal low of $15. Still hard to believe considering these went for $70 originally at the FC. Another funny thing is that these aren’t even a year old. I can’t figure out what is up with Hasbro and I probably never will. Don’t feel bad guys I was also one that paid the full FC price, but I couldn’t leave it there for $15 either. Also saw some more older 12″ at this KB the New Hope asst. and the Return asst. were there also for $7.99 each. Not much else in the way of warehouse stuff though. Good luck and grab the deals while you can. Here are some awesome deals! Kbkids.com has these special deals going on right now. Guys a great friend of mine finally got a page up for his incredible dioramas. He does some unreal work and someday I got to fly him up here to get him to do something for me… His name is Bill Cox and some of his work has been shown on CollectStarWars and Niub Niub’s Universe. You can check out his page here. UPDATE:Well I am proud to say that Bill will soon join us here at Yak and have is own diorama section. For now hit the link above to see some of his incredible work, but look for a new section with all of Bill’s work soon… Congrats Bill welcome aboard. Got a mail from Yak-er Scott in Georgia and he reports finding good ol’ Mr Holo Sid and the Naboo guard on the pegs today at his local KB. If anyone else is finding these at KB let me know, first I’ve heard of them showing up there but these days anything is possible. Looks like the warehouses are getting another good ol’ cleaning. I wonder when it’ll stop but some are loving it I’m sure. George over at Sandtroopers.com has posted a possible variation on the Boomer Damage Battle Droid. It shows two different versions, one has a purple tint on the Boomer Damage part whereas the other is just blue. Of course with me being a variation hunter I am curious now to get my hands on one. I am looking to know though if ths is more an error (black vest Maul) or a true variation. Anyone else that has one give me a shout here. Toymaniacs has some new POTJ fig in stock such as Han (Bespin capture), Boomer battle droid, Fode and Beed and more. 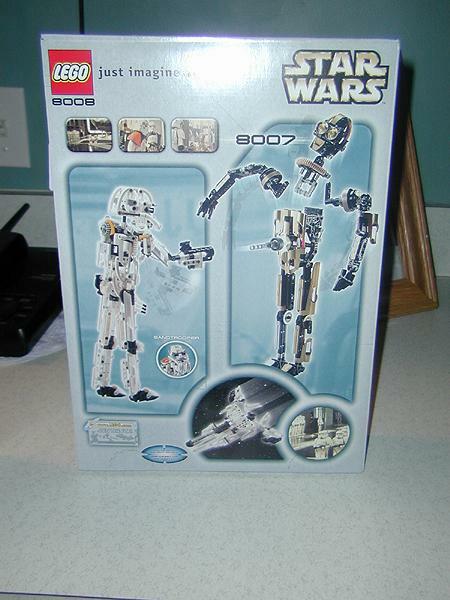 Rob wrote in to say that he found a Mega Destroyer Droid at an Electronics Boutique store. This backs up Sidster’s report so be on the lookout at your local store if you need this one. Robb Kale found the Jabba’s Palace diorama with Han Solo/Carbonite at a KB in Boardman, Ohio. Worth a look if you’re still after this set. We just received the very last shipment of Star Wars Episode I action figures containing the rare Jar Jar Binks – Naboo Swamp (a.k.a. Swimming Jar Jar). E1 Asst. Coll. 1 (Wave 11) (Item #84085K, $149.99) case was the only case this item ever shipped in. After our limited supply is sold out, these will be gone forever! Only at Entertainment Earth. E1 Asst. Coll. 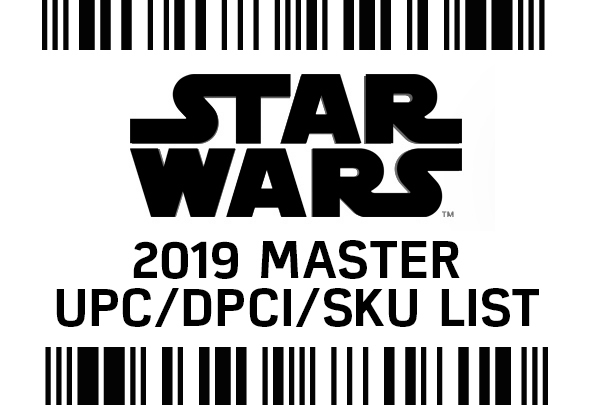 1 (Wave 11), $149.99 Contains: 1x Jar Jar Binks – Naboo Swamp, 3x Qui-Gon Jinn (Jedi Master – AKA Soft Goods) 3x Destroyer Droid with Battle Damage, 2x Anakin Naboo Pilot, 2x Obi Wan Kenobi (Jedi Knight), 3x Darth Maul (Sith Lord), 2x Darth Maul Tatooine. News from the MSWCC and other emails from around the states have it that the R2 w/Holo Leia and the Comttech Vader and Stormtrooper have been showing up more readily at your local Toy’s R Us stores. Philip over at Rebelscum has pointed out that Carrie Fisher will be interviewed by Diane Sawyer on ABC’s “Primetime” this Thursday. 10:00 PM Eastern. Did a little surfing around net today and found some stuff you guys might still need or want. Here’s what I found at a few places. – 12″ Sith Lords set, 12″ 100th Luke, 12″ Bounty Hunters and almost all POTJ waves except Plo Koon wave. Amok Time– Seem to be still taking orders for the FC Carbon Chamber set and also 300th Fett. John’s Toys– Has the 12″ Sith Lords set and some POTJ Han Bespin wave. eToys– I noticed a few cheaper POTJ figs and they still have the 12″ Chewie in chains. Newforce– Has the 12″ Sith Lords set, and some POTJ. I understand the 100th Luke and 12″ Hunters should be in soon also. Can’t wait for the inital release on Wednesday? It appears that Amazon has it in stock now. Star Wars Episode 1 : Battle for Naboo, the page states that it will ship within 24 hours. Update, Thanks to all that wrote in, it appears that this is on the shelf already on some parts of the country. I’ve gotten a few reports of the Mega Destroyer Droid starting to show up at TRU. This is the first I’ve heard it showing up anywhere but Target. Thanks to Dan and Bob for the news. UPDATE:I can help confirm this with Brian. I saw three Mega DD’s at a local TRU this morning. Also pop into an EB if you have any local, saw a couple there last week too. I saw a Qui Gon Moisture Farmer production figure (Item #527241794) on ebay today. An interesting piece to own if you like rare items. Ok, special Thanks to C L for the news. Here is a link explaining everything. The figure that has been shown all over is nothing but a model. Click on the link for all the viewing that needs to be taken. Sorry for the mis-info. Battle Droid (Boomer Damage) Variant? Sandtroopers.com have posted a scan of two Battle Droid Boomer Damage figures which have slightly different paint jobs. Could simply be a factory error or possibly a variation. In any case, it’s interesting to look at. Yak-er in Japan and he said that the Vader shown here last night is not made by Marmit… Hmmm so now this makes things even more interesting. I guess since pics of the doll have shown up it was thought to be a prototype for the Marmit Vader that has been talked about, but it really isn’t. Now I have been told it is just a fan-made piece. Here’s a link to some better pics, click the thumbnails for some large clear pics. Thanks to our overseas Yak friend for helping clear this up. Are You Still Having Troubles? Are you still looking for some of the first wave of POTJ Figures? Email me if you are looking for any of the following…. “I received my 12” Legacy assortment from EE today and they were definately worth the wait (well, except for 4-LOM). IG-88 is by far the best of the group. He stands over 13″ tall and the articulation is superb with outstanding detail. He has a ball joint head and his arms can go up and down at the shoulders. The elbows can be moved up and down and they also swivel to provide a wide range of motion. The wrists also swivel to add just a little more articulation. You have to extend his legs after removing him from the box and unfortunately, I’ve already noticed that they don’t really “lock” into place when you extend them. The right leg on my IG-88 is already a little loose and he tilts right when he is standing unsupported. Looks like this one is definately going to need a stand. He has a standard issue Imperial blaster (thank goodness Hasbro decided to get rid of the bright red missles) and a longer rifle. IG-88 is the best of the bunch. Our worst fears just got worse. 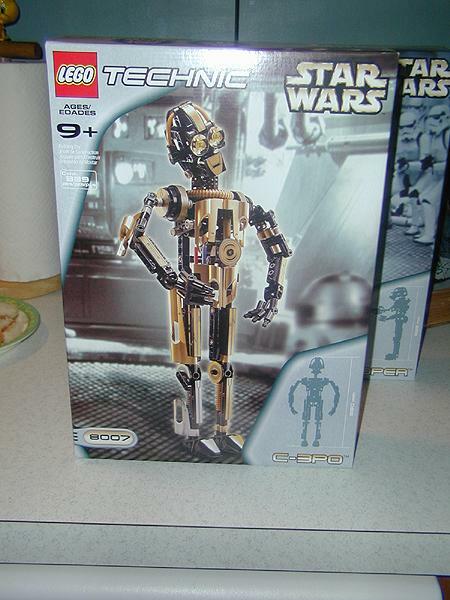 The legs and arms were taken directly from C-3PO and TC-14. One hand was removed and changed so he can actually hold his blaster rifle (which, incidentally, is exactly the same as IG-88’s). The torso was changed a little bit from C-3PO and the head is just awful. From what it looks like to me, it is GLUED onto his body and cannot be moved at all. Its also a much lighter shade of grey which really looks out of place with the rest of his body. I would have much rather seen Dengar or Zuckuss. So get out there and be one of the lucky few. I myself can confirm some of this stuff, as I have seen it myself. Deals are to be had guys so that quick run in may prove to be worth it. Could it be true? Well talk of this has floated around in the past and with these prototype pics looks like the talk is true. I must say I can’t wait to see some better pics, but in the mean time these tie me over, see if you agree. Here’s pic oneand here’s pic two. I’m sure the detail will be just as equal as we have seen on all the other Marmit dolls so far, if not better. Word is we’ll see Mr. Skywalker in 2001. Here is another set of nice images of the Vader, Thanks to Inky for them. Rebelscum is reporting that the Darth Maul Sith Apprentice figure will be the first of five non-movie figures planned for 2001. A Qui-Gon and Obi-Wan based on concept art, and two figures based on comic book adaptations of Episode I characters will be the other four figures. To the 100 plus people that responded to my inquiry “Do you collect all the 12″ figures? Are you crazy about 12″ figures? If so I need to hear from you. Send me an email.” I apologize that I had a severe mishap with my email and I lost all the responses. Please resend your email to me, all I need at this point is your name and email address, I will be sending you a return email with what I am looking for. Once again I do apologize. 25 Star Wars LEGO Sets on Sale at Etoys.com! Hinted at by the yakface.com Deal of the Day, Etoys.com actually has 25 Star Wars LEGO sets on sale right now, including some that I’ve never seen before! FBTB has the complete list. Just in time to finish your holiday shopping! “As a token of my appreciation and in the spirit of the holiday season, I’m giving all of those who’ve come to my site a chance to win some Star Wars figures from my collection. To enter, follow the instruction on his website. TNC Universe have the 12″ Sith Lords in stock for $44.95! They also have new prices on a lot of POTJ items. Stop by and take a look! Still need the Biker scout wave? Well John’s Toys has them in stock now for $9.99 a piece not a bad deal if you need them. Strike while the irons hot they say, good luck. Here are 4 older 12″ figures that are now available online for the low price of $12.99, just Click Right here and search on each figure. There have been several reports on the Action Figure Times that the 12″ Dewback is now on sale ONLY in Canadian TRU’s for $24.95. A huge bargin if you live in Canada. LEGO UCS Sets 1/2 Off! With all due apologies to the Yakface.com ‘Buy of the Day’, De has reported at FBTB that walmart.com has both of the LEGO UCS sets (the TIE Interceptor and X-Wing) for $50 and $75 each! We’ve got coupon codes as well to save you even more . . .
M & M are offering free US shipping to all orders over $25 until Dec 15th! Head over and check out what they’ve got in stock. Looking for a Last Minute X-Mas Gift? Well I have taken the time to root through some sites looking for the best deals I could find. So click right here to see the entire list. Need the Gungan Scout Sub? Is Yakface.com Your Favorite Place For News? 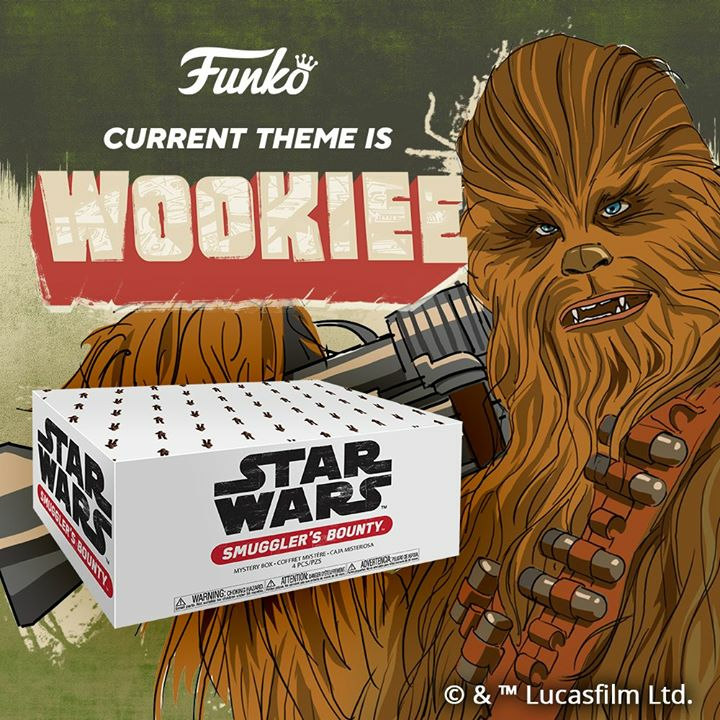 Action-Figure.com is holding a poll at the moment for their readers to vote for their favorite Star Wars Collecting Site. Yakface.com is listed on the poll and we would like it if you voted for us. But don’t vote for us because we said to make your own choice. Even if yakface isn’t your favorite. Head over and take a moment to vote. Let everyone know which site they like the best. Could this be the latest for KayBee Stores? This came in from Bobb, “Not huge news but I bought the Jabba EP 1 beast pack today from Kay Bee in Zanesville Ohio for $4.99. The Fode and Beed that comes with this is far superior to the carded version! !” Thanks Bobb. Keep your eyes peeled and let me know if you find one. I was just doing some surfing around the net and spotted some stuff worth checking out, here goes…. Our friends over at Rebelscum.com have some cool info for the holiday shopping season. They have a few reports of where to find that perfect gift for the Star Wars collector in your life. The little brown cloaked dudes over at Jawa.com have another cool give away going on. This time they have hoarded the ultra cool Dagobah Vader and Mos Espa Qui-Gon. This contest runs til Dec 18th, go get’em guys. CollectStarWars has some great pics of the Carbon Freeze Chamber playset. They did a great review and also got some great loose shots for your pleasure. Coruscant Toys.com has a cool poll going on, asking for what new figs we’d like to see. They have three choices all that I’d love to see a fig of. Yarna D’al Gargan, Imperial Dignitary, and Oppo Rancisis round out the choices. I noticed the Dignitary in the lead but I would love a Yarna before that one. We all ask for new figs and she is as new as we can get, considering a figure has never been produced of her outside a vintage prototype. So head over and vote guys. Thanks to Tom for the following news. This is not the first Target I have heard about having $4 POTJ figures. It is not known though if this will turn into a nationwide price change. We have the winners!!! After SEVERAL recounts and appeals, we have completed the 100th hand recount and the Winners can be seen in the new header. I know we only asked for your top six, however, I needed eight to complete the header, then I decided that since number eight and nine were so close, (it was a tie) I added the ninth figure. To complete the top ten, Slave Leia was number ten. Thanks to all for voting. Do you like the new Force Files? There is a new poll, please take the time and make your voice heard. Sorry no recounts on these. This weeks winner is Tom Davidson. Congrats to him and a special thanks to Ultarama Stands for the special giveaways. If you have not entered, click on the image to the left and send in your name. “Christmas shipping. For international customers, today (Dec 11)is the last day to place an order and expect it to arrive before Christmas – unfortunately, we cannot guarantee international delivery times. However, it usually takes about 10 days for international addresses. Christmas shipping. More than likely, orders placed by December 20 will arrive in time for Christmas, but we will not guarantee them. Well guys in the past I have spoke of, and recommended an online collector group I have been part of for almost two years now called the SWCU (Star Wars Collector Union). Well soon the SWCU will be defunct, BUT replacing it will be the incredible Trade Federation. The group is totally revamped from the name to a great news site to all new forums. Anyone is welcome to join, BUT please read all rules before… There is a strict no scalping rule and also a very strict eBay rule. So if you are looking for some great help and a crazy bunch of people visit here, guys you won’t regret. Raving Toy Maniac posted today that the NPD Group Inc., has released its list of the Top-Selling Action Brand Toys of 2000. In the new ad this week, they have the B-Wing for $24 dollars, and we have received various reports stating that the Budle pack with the Mos Espa Pod Race, the Small Lego set with Quin Gon and Maul and the 3rd set, the Droid Fighter has been seen on sale for an even lower price of $30. So keep an eye out for that incredible deal. Stop in over at Rebelscum as Philip has posted some very nice shots of the playset. They also have a nice little article in the new Toyfare. Stop in there to read it. All I want for Christmas is a Marmit Boba Fett… Recall? Hobbylink Japan issued this email to their customers who ordered the Marmit Fett. “Marmit plans to recall this item because of a color error in the production process. Our distributor asked us to return the merchandise. The “error” is as follows: Boba Fett’s shoulder plates and knee covers are supposed to be the exact same shade of yellow. However, in the figures from this production run, the knee covers are a very slightly darker shade of yellow than the shoulder plates, with a very small hint of orange in them. The difference is apparent if you study the two parts carefully, but the two colors are very, very close. Interesting, and an example of quality control we could only wish from Hasbro. I’m mulling over a speak-up article on that topic, but surprisingly enough I didn’t even notice this paint discrepancy until after getting this email. I do, however, think the red tones on his helmet are too muted. Mind you, I still think this figure is AWESOME! Thanks to Dennis for forwarding the actual email. For those that may have missed the news bit.. Yak-er Stacy noticed the 12″ Sith Lords two pack at eToys for $49.99 + $5.50 shipping. I’m sure these won’t last long hit here for a direct link. Thanks to Stacy for the tip. Not sure if this has been posted before but here are several SKU’s from TRU for upcoming SW figs. Thanks to Brad for the SKU’s. If anyone is curious Entertainment Earth has some really nice clear and large pics of the new 12″ bounty hunters. Clickhere to see them. Thanks to the GhostWhoRuns for the following news. A note to any readers who ordered something or were going to order from R2DToys, the British company we mentioned recently in association with the 300th Boba Fett figure. Clive, owner of the company, and also Yakface reader James let us know that they have caught a rather nasty computer virus which seems to be causing havok right now. I personally have received infected attachments to e-mails a lot recently. it’s one of those viruses that will attach itself to all outgoing e-mail without you knowing. Make sure your virus protection software is up to date. If you want to contact R2Dtoys in the meantime, they can’t receive e-mails, but you can call them on 0208-340-5566. That is dialling from inside the UK. For US readers, the number is 011-44-208-340-5566. On another note, I received my Boba Fett from them and it was well packaged. Great figure! Thank you for contacting eToys. 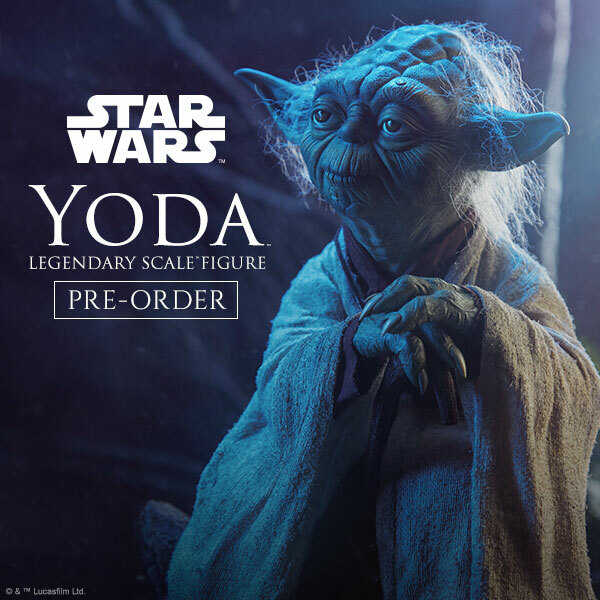 The Sebulba figure in question has not been cancelled by Hasbro, it has been recalled. In accordance with the United Commercial Code products deemed a negligent hazard maybe voluntarily recalled as a protection from punitive damages. Hasbro has done this with the product in question because certain plastic parts were deemed a choking hazard for children under the age of three. week. For calls outside the U.S., please dial 310-664-8530. Or you can e-mail us at service@etoys.com. Strange, isn’t it? Well I’ll look into this more and see if I can find out a specific reason. Anyone else out there know why gimmie a holler here. Jay from ADC sent an email over letting me know he has some boxed pics of the 100TH Luke up. Another packaging change has surfaced like what happened on the 12″ Sith Lords set. I do think that the new package looks good though. I am diappointed with the set for a few reasons… We have had all the outfits and accessories in the set before, only a very few are new and nothing to scream about. Head sculpt is great but is that worth screaming over either? I think some new style of clothing would have been killer (e.g. Luke from end of Empire in robe, Luke in Endor gear). But what can we do… I wonder if all these package samples will suface one day soon and what they will go for…? Hit the link above for pics. The most anticipated 12 inch action figures of the year just arrived. The new Star Wars 12inch Legacy Asst.1 (Item #26470A, $139.99) includes 2x IG-88 with Rifle and Imperial Blaster, 2x Bossk with Blaster Rifle, and 2x 4-LOM with Concussion Rifle. All backorders will be filled as soon as possible. Enjoy these awesome figures! Only at Entertainment Earth. Lately I have had a few emails and talks with some friends about the legs on the new Mega Destroyer Droids breaking. I had noticed this on one I have loose myself, as I transformed it a few times the legs started sticking and were almost impossible to move. I, at one point almost broke mine but luckily didn’t. Strange coming from the company that does the Transformer line themselves. What I did to help prevent this was unscrew the screw in the ball joint section where the legs stick out of, you also have to pop the section open cause it is also glued in. Once I got it open I took the legs out dipped them in oil (you could use any lubricant) and put it all back together and BAM worked fine. So if you have this problem do what I did or run the risk of them snapping. A great toy otherwise just a flaw I can’t figure out the reason for. My man Moby-wan sent over an email to let me know him and the guys at Echotrooper.com have some boxed pics of the 12″ Bounty Hunter’s. Must say they look insane and can’t wait to nab them. We should see these very soon as I talked with a source on these, and they are in transit to some stores and warehouses now. There is a now a new transitional SW Fan Club website up at Wizards of the Coast. There isn’t much there or in stock to buy, but there should be more as time goes on. Click here to go see it. New In Stock at EE! SW POTJ Collection 1 (Wave 7) (Item #84445C, $89.99 – Han Solo Bespin Capture, Battle Droid Boomer Damage, Scout Trooper – Imperial Patrol (Biker Scout)) are both in stock and shipping! Includes 2x Jek Porkins X-Wing Pilot, 2x Boss Nass Gungan Sacred Place, 1x Gungan Warrior, 1x Tusken Raider, 1x Chewbacca Dejarik Champion, 1x Mas Amedda, 2x Coruscant Guard, and 2x Battle Droid Security. Includes 3x Dagobah Darth Vader (POTF), 3x Obi-Wan Kenobi (POTF), 2x Darth Maul Final Duel, 2x Qui Gon Ginn Mos Espa Disguise, 1x Obi-Wan Kenobi Jedi and 1x Anakin Skywalker Mechanic. Factory 2U stores in Arizona have been receiving the Kabe/Muftak exclusive two-pack. Thanks to Kyle for the news. If anyone knows what price these are being sold for, please let me know. UPDATE:Greg the Muftak packs are going for a mere steal of three dollars. Yup imagine guys get out there and grab them. ACPin has updated his dioramas website with his take on how the Snowtroopers actually got out of the AT-ATs. I took a look at it myself and it looks good to me! I used to picture those Snowtrooper dropping down to the ground with parachutes or something!! 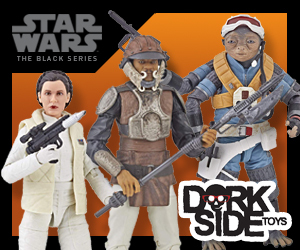 Head over to Jawa.com and try to score yourself some Ep1 “soft goods” figs courtesy of our little scavenger friends. The little guys are giving away a Qui Gon (Jedi Master) and Obi-Wan (Jedi Knight) for nada, zilch, zero, nothing. Not much is truly free anymore, so good luck. Now back in stock are these two items. can show you everything else Kenner has to offer. This site offers a history of the company, links to an ever-growing list of Kenner collecting sites, and message boards to talk with fellow collectors about specific toy lines. I’ve received many reports from readers who have ordered carded figures from online toy stores only to find them shoved in boxes too small or arrive otherwise damaged. My suggestion is that if you’re interested in mint condition, don’t buy from the big guys like Amazon, eToys, etc. They sell toys! Customers being upset at a slightly crushed package or illplaced inventory sticker is a foreign concept to them. They see them as toys not collectibles. Their view is that kids tend to tear open the packaging anyway. I personally get mine from the store, where I can cherry pick them myself, or utilize a place like EE or TNCUniverse, but as one would expect, you pay extra for the added attention to mint condition. Well, after looking into this a little more, it appears the Freeze Chamber Playset is still on track just a little off target. We will definately be seeing it in the near future, just not the immediate future. The projected date will be in January or February. Looks like we get a late Christmas Present. It appears that there has been a change in the Vader wave case assortment. General Leia has been dropped and replaced with another Qui Gon Jinn. The new case assortment is now. Entertainment Earth has also changed their case assortment to this new one and I’ve personally seen a few of the new Vader wave cases at Target this week. The Force.net broke the story about the sale. I have been able to confirm it as well with the following information. If you call the 1800-truefan number today, you will wait on hold for sometime. However the person that you finally will reach will be someone from Wizards of the Coast. You will no longer be able to reach someone from Fantastic Media. I plan on speaking with Dan Madsen today to see if I can figure out what the details are. The insider will be moved from Fantastic Media to Wizards of the Coast as well as all merchandising. Also if you are waiting for issue 51, they are planning on shipping it by the end of the month. In an effort to compensate you for the wait, they will be adding an extra issue on to the end of your subscription. I will post more as I know it. Look for the official press release due out by the end of the week, maybe as soon as the end of the day. Need to Spruce Up The Tree? Haven’t had time to get out to the local Hallmark and pickup your Star Wars ornaments. Check out this link to place your order online. Star Wars LEGO – Here It Comes . . . Starting on the east coast and now as far west as Ohio from the reports I’ve received, the new Star Wars LEGO sets are hitting WalMarts – although De has found them in a Target as well . . .
Theforce.net is reporting that the Official SW Fan Club has been sold to Wizards of the Coast. Wizards of the Coast however, is owned by Hasbro. This could be very good since the Fan Club for the past few months has been pretty much dead. Though I’m interested to see what will happen to the SW Insider. Both sites I mentioned earlier have some pretty cool stuff worth visting them for. Jawa.com and Sandtroopers.com both have posted some release dates for upcoming figs check them out they look pretty on target too… Though with Hasbro things change by the minute. Old Ben variation or error? Well just got done checking out my brown cloak friends over at Jawa.com and noticed a cool variation/error on the good Ol’ Ben POTJ fig just released. Jawa reader Dan Emmons scored a cool Ben with a weird saber. I would think myself it’s an error but only time will tell if many slipped out like this… Interesting nonetheless especially for us variation/ error collectors. Here’s a direct link. The new K-3P0 wave has now been spotted in K-marts in NY and NJ today. Thanks to Dan for the news. A friend of mine, ryo_hunter, is selling a few cool items just now on eBay. One of them is the cool promo watch that is currently featured on the left of the page, and the others include a 3D Pepsi dangler poster! Search for auctions by seller ryo_hunter. Check out our newsfeeds section on the left side of the page for some cool deals. You can read some more about the new vintage REALStands and you can see how to take advantage of a 15% off voucher for M&M Collectibles, exclusive to Yakface readers! We all have heard that good ol’ Mr 300th Fett will not be around until after the new year… But wait, maybe just maybe you can get him before that. ADC is giving away Mr Fett and a set of POTJ figs which contains Gungan Warrior, Jek Porkins, Temple Boss Nass, General Leia, Mos Espa Disguise Qui-Gon Jinn, Dagobah Darth Vader, Fode & Beed, Ben Kenobi, Sebulba, Biker Scout, Bespin Capture Han Solo, & a Battle Droid(Boomer Damage). Not a bad round up if I say so myself. Readers have til Dec 31st to enter and on Jan 1st Jay and crew will pick a winner. Good luck people, go pay them a visit for all the details and to get yourself entered. 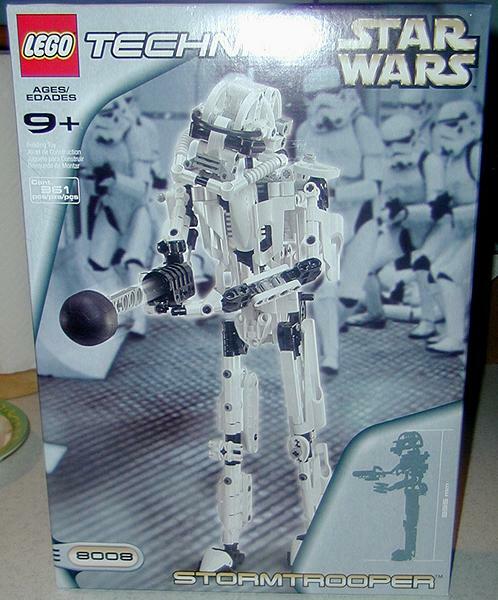 Well guys not to sound like a poet, but looks like we will see the new cases containing Plo Koon, IG-88, Calamari Crewman, and K-3P0 soon here in the states. Just talked to a very reliable source and he confirmed this. Sounds good, man Hasbro is slamming us from left and right, good though as after holidays we’ll have that Jan/Feb lull. So he said these could show anytime soon another hunt to get ready for. Action Figure Times has posted some cool pics of the Duros prototype. They got some real up close and detailed pics, he looks like another winner for Hasbro. 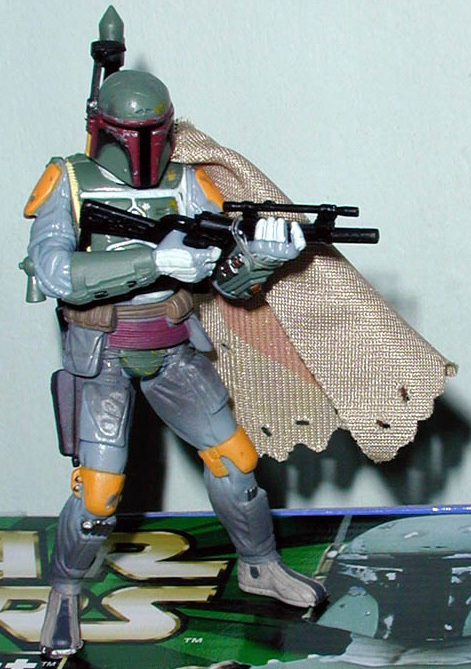 Also check out the Aura pics and some good shots of the 300th Fett. Hasbro has given us some good stuff lately, and look to continue that, well minus the EEECK concept Maul. UPDATE:I got a few emails saying these were same pics from the Hasbro site…Opps I hadn’t noticed the Duros four different shots there. I don’t visit Hasbro site much at all so that would explain. Thanks guys for the heads up. I’ve received several reports today of them showing up at WalMarts on the east coast. FBTB continues to track all of the deals out there this holiday season, so stop in if Star Wars LEGO is on the Christmas list! 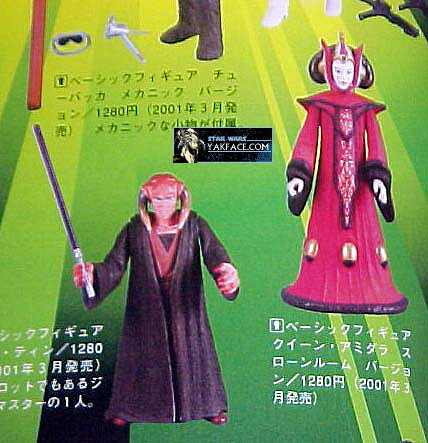 According to the new issue of Toyfare the Real Scan company, Gentle Giant have been signed for Episode II figures. Gentle Giant will scan in characters from the movie. No word on what figures will be made using the Real Scan technology. For those not familiar with Real Scan it is currently used by JAKKS on their WWF figures. The result is the faces on their figures look exactly like the real person. UPDATE:Gentle Giant is only the company that uses the Real Scan technology, they do not make the figures themselves. Hasbro will still be making the Ep II figures. Check out these prices at Amazon.com! There are MANY MORE awesome deals. Many more MicroMachine Deals as well. Check it out. Yesterday brought us Darth Maul in his armor (which, by the way, doesn’t look like it’d help him much in a fight). Today brings us hungry Maul! Thanks to Brian Levine for the pic. He’s in stock now for $8.99 @ StarShow, along with Ben Kenobi and some other POTJ figs. Stop by if you need him! The Vader for sure won’t last long. Thanks to Clint for the info! Here’s another picture of the Darth Maul (Armor). Thanks to Shawn for the pic. Finds on the new figs are popping up everywhere across the net, from Rebelscum to CollectStarWars to Jawa.com toADC to right here at Yak. Reports from NY across to Texas have come in. I can verify also these are hitting as I found them myself today. These were found at Walmart in N Dartmouth, Ma. Though I called this store earlier in the morning they said they had got a bunch of new figs overnight but not what I mentioned… So I decided to visit and BAM right there sitting on the pegs one Han Bespin, one Boomer B/D, and two Biker Scouts. I’m sure a minute later I would’ve missed them… So you might want to visit rather than call. Guys they are out there so gas up the car now…. Yes it is a real figure. Head over to Rebelscum or SirSteve’s Guide, he has an image of this figure. I must say, while the image is good, the figure looks like….. well to quote Sebulba… POODOO!!!!!!!! What a LAME figure. With all hope to this one going by the way side and getting dumped. Let’s see, Hasbro in thier infinant wisdom, decided on this figure over Shmi, the mother of Darth Vader. Real brains there! I might add in after reading several emails that point this out. The Maul figure is based on the concept drawing of Darth Maul. I am not anymore impressed. Yes it does look like the concept drawings, but there are way more figures from the four movies that could have been produced rather than ANOTHER Darth Maul. I mean, he was only in the movie for 10 minutes. We now have a production drawing of the most under-utilized character in the Star Wars universe. Are You Interested In Kubricks? Do you know what the Kubrick Legos are? check them out here. If you like them and want to order a set for $72.00, then click here. You will get all three sets with backdrops and the Exclusive Han Carbonite. Our friend Inkferno is offering these items, he is overseas where they are made and is VERY trustworthy. Remember if you want to vote, just read the rules on the left column. For those that have not read it, this vote is for your favorite top six figures from 1977 to the present 12″ and 3 3/4″, when making your vote make sure you specify the line and whether it is the vintage or new figure. 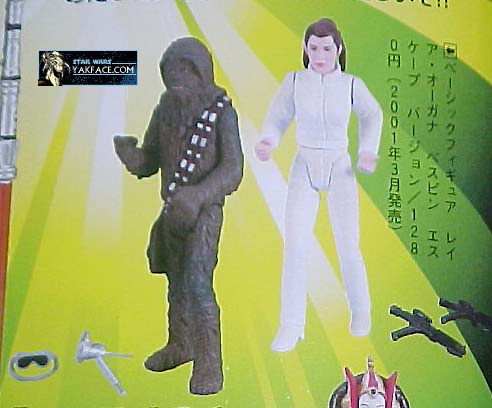 Here are brand new pics of Chewie (mechanic) and Leia (bespin). Also, there is a pic of the new Amidala (Theed Invasion). A big thanks to Shawn for the pics. If you’re interested, you can contact Startoys @ STARTOY1@aol.com. The Kubrick toys are something we haven’t really mentioned before. They are little fig- actually, it’s kinda tough for me to explain it very well so just check out item number 509364295 on eBay – thanks go to ACPin for pointing that one out. You’ll find more on eBay if you search the Star Wars categories for ’em. A quick reminder from R2Dtoys that their Boba Fett figures arrived and they expect to have run out of them by Saturday. $35 including worldwide courier shipping outside the UK, or £20 shipped inside. They are expecting more on Monday, which will be an extra $5 due to a premium they had to pay. If you’re interested, contactshop@r2dtoys.fsnet.co.uk. Update: You can pay by credit/debit card and delivery to the US will take 2 days or less, insured and guaranteed. Here’s a good clear pic of the 300th Fett out of the box and the Marmit Fett still not assembled. I can personally, confirm that the Biker Scout wave is in stores since I found the wave today at two Wal-marts in NY. Of course, all the good figures were gone but I saw lots of Boomer Damaged Battle Droids. For you diorama loving readers, ACPin has updated with some more cool dioramas:http://acpin.homestead.com/Home.html if you’re interested. Josh Ling, for those who know him, is a very REPUTABLE collector, has has posted on EBAY 100 Authentic REVENGE of the Jedi Patches. The Item Number is #509052843, hop on over a take a look. This is a dutch auction, so if you want one you can probably get one.